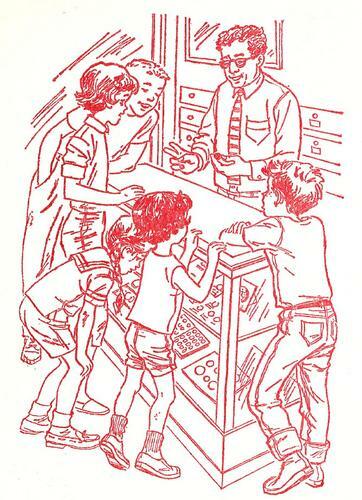 Coin Collecting for Kids - Buy The Happy Hollisters Today! What makes a coin “lucky”? 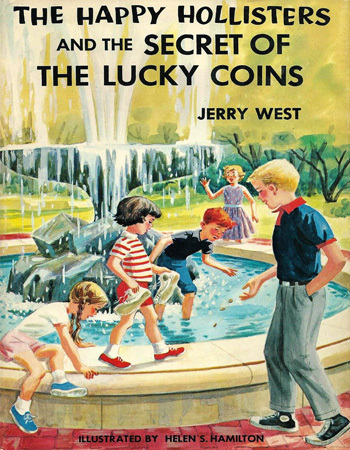 In The Happy Hollisters and the Secret of the Lucky Coins by Jerry West, little Sue Hollister receives an 1817 Liberty Head Penny as a reward for a good deed, and her siblings are inspired to take up the fascinating hobby of coin collecting. Their interest is further piqued when Pete finds a rusty metal box buried in the twisted roots of an old tree that has been uprooted by a small tornado. The box contains a rare 1652 Oak Tree Shilling marked with two mysterious clues: the word “treasure” and the figure of a bird. These two hints lead the children on an exciting and educational treasure hunt that combines coin collecting with botany and forestry. Coins have been collected for centuries, since the time of Caesar Augustus (63 B.C.-14 A.D.), and the practice became more popular during the Renaissance. It became known as the hobby of kings since the wealthy were the lucky ones with access to collectible currency. Originally coins were collected simply for their face value or their bullion value, which varied with the type of metal used to mint them. As time went on, more coins were minted, resulting in a wider variety of designs. Collectors became interested in the aesthetic properties of coins and began compiling and categorizing their collections based on shape, design, or artistic themes depicted. Other collectors concerned themselves with particulars of metallic composition, country of origin, personages depicted on the coin, or specific historical time periods. Some coin collectors take up the hobby just for fun, and the value of their collection may not be as important as the hunt itself. But collectors who consider their collections as an investment are concerned with the “grade” of their coins, which ultimately determines their potential worth for sale or auction. Grades vary from “Poor” to “Mint” and “Uncirculated” conditions. Third-party certification services, such as Professional Coin Grading Service and Numismatic Guaranty Corporation, are skilled in assessing the grade of collectible coins, taking into consideration any dents, scratches, or general wear that comes from handling over time. The actual value of collectible coins fluctuates with supply and demand, and many individual coins and collections are sold at auction. According to Wikipedia, the most expensive coin ever sold was a 1794 Flowing Hair Dollar, which was purchased for more than $10 million at a 2013 auction. In The Happy Hollisters and the Secret of the Lucky Coins, Sue Hollister’s 1817 Liberty Head Penny was worth about $2 according to Mr. Steinberg, the friendly neighborhood coin collector of Shoreham. In today’s market that coin, depending on condition and grade, could be worth $20-$225. The 1652 Oak Tree Shilling that Pete found after the tornado would have been a real treasure—had it not been defaced with mysterious clues! Oak Tree Shillings were among the earliest made in this country and in better condition such a coin could be worth $3,000 today! In contrast, though, another coin the children unearth in their sleuthing is an 1858 Flying Eagle Cent. The children were overjoyed to learn that this coin was worth $400. Unfortunately, the value of that coin is now lower, only in the range of $16-$330. In the course of their sleuthing, the Happy Hollisters learn from the local forester that items attached to trees—such as gate hinges, barbed wire, or in this case, a small box containing valuable coins—may over time be enveloped by the tree’s natural growth. The ultimate treasure that the children find is one such oddity, neatly disguised beneath a scar in the oak tree’s bark and concealed deep within one of its limbs. The coins in this treasure are indeed “worth a pretty penny. The cache they discover includes several dozen old coins, among them a New England Shilling, a Willow Tree Sixpence, a 1796 Half Dollar, and three Silver Dollars dated 1794, 1797, and 1836. 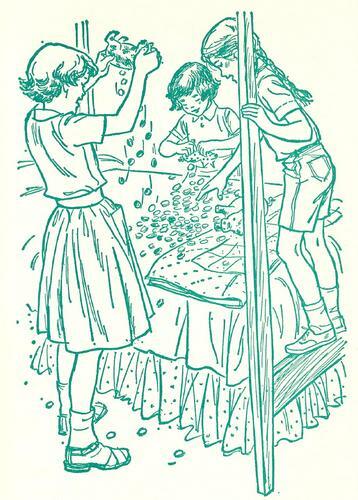 This treasure trove makes an unlucky new friend of the Hollisters very happy indeed, and the children are richly rewarded for their part in solving the secret of the lucky coins.